FOXNAIJA.com provides flexible, cutting-edge targeting solutions that reach the right customer at the optimal time. Enhanced targeting capability to target consumers by gender, age, household income, education, ethnicity and presence of children (children under the age of 18). Based on the usage patterns of visitors on FOXNAIJA, marketers can target consumers whose browsing places them in key segments. These include health conscious consumers, vacation or business travelers, gadget lovers and more. Allows advertisers the ability to target their campaign against users on a specific telephone and internet service provider. Through a relationship with an industry-leading partner, FOX NAIJA can target visitors based on their company size. From the smallest new businesses to the world's largest FORTUNE 500 firms, enhancing your small business or enterprise message is easy with FOX NAIJA. 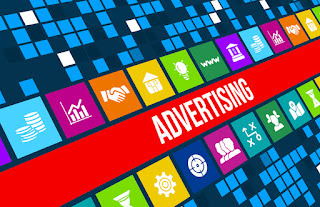 Depending on the complexity and file size of an ad unit, the time it can take to download the ad and display it on a user’s device can vary due to connection speed. This gives us the ability to traffic large file sizes to users with faster connection speed, presenting the optimal ad experience. Target ad banners to FOXNAIJA.com visitors by time of day, based on typical online usage patterns. Reach active investors in the early morning as they scan the day's market outlook or affluent consumers in the evenings as they manage their personal finances from home. Gives advertisers to ability to choose which mobile devices they would like to have their creative run across. This gives them the opportunity to reach the mobile audience that can access their device specific content, such as apps that are built for a particular operating system. Based on a visitor's IP address, FOXNAIJA.com can target visitors accessing the site from specific corporations, government entities and educational institutions. Domain targeting is an exceptional way to build awareness or influence target business decision makers within target client companies. Location-based ad banner targeting by country, international regions, US ZIP codes, time zones, DMA (Designated Marketing Areas) and even the users latitude and longitude (mobile only). Geo targeting is ideal for market-specific campaigns, and can be used to time online marketing efforts with regional media campaigns such as TV and radio. Advertisers can target a devices’ specific OS (operating system). This allows them to target their campaign to users who need to be using a particular OS version to access their content. For instance, if the advertisers has an application that will only work on the latest version of a particular OS. Using industry leading segmentation tools from Claritas PRIZM, FOXNAIJA.com can target visitors by household composition, income, lifestyle preferences and behaviors based on survey data about their neighborhoods. This unique opportunity allows marketers to reach customers that live within defined targeting segments, including Young Digerati, Blue Blood Estates, Upper Crust, Beltway Boomers and Executive Suites. Target leaders and influencers from the industries that matter most for your business. This innovative targeting program allows marketers to reach FOXNAIJA.com visitors accessing the site from companies within a list of 99 SIC (Standard Industry Classification) Codes. Target ads to specific ticker symbols. This is an effective way to reach active investors as they look up specific stock quotes or are researching specific companies.